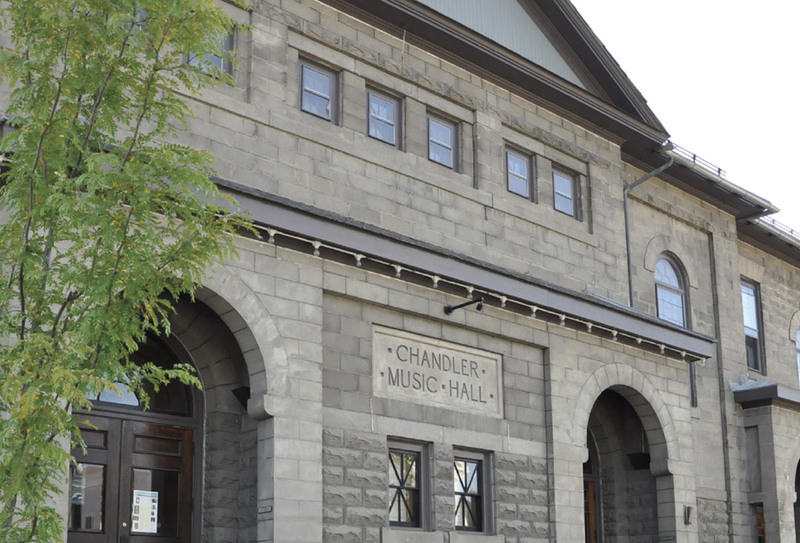 Naylor & Breen was low bidder on the Chandler Hall project due to a management strategy proposed and accepted to change the design sequence of construction phases working around continuing occupancy and performances throughout the construction period. The largest challenge was the construction of a new access road on top of an extensive site retaining wall system up the steep slope behind the theater to provide fire truck and theater support access. Naylor & Breen worked closely with civil and geotechnical engineers to sequence this work in sections to provide required slope stability enabling a full credit of $45,000 for shoring to be returned to the owner early in the project. Although a very complicated scheduling challenge, weekly project meetings were relaxed and enjoyable for the full team through completion ahead of schedule and on budget. The new construction consisted of a three-story rear annex for the administration. Renovations to the existing building included opening up foyer (requiring matching historical casework performed by our own Hawk Hill Cabinetry & Custom Woodwork), the renovation of the bathrooms in the basement level for larger capacity and a modern design add a creative touch to this level. There were also extensive energy-efficient upgrades throughout.